This is the all-new Ford Focus. The Focus is always in the top ten cars sold in the UK, along with its smaller sibling, the Fiesta, which usually takes the top spot. 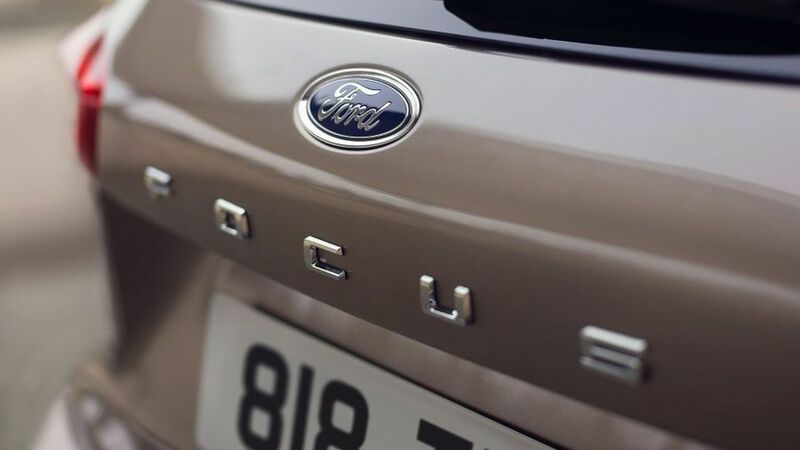 Since it was first introduced in 1998, Ford has sold nearly two million Focus models in the UK. It's still up against some popular rivals though, including the likes of the Volkswagen Golf and Vauxhall Astra. The Focus has never been flamboyant, and it continues to be a sensible but smart-looking mid-size car. 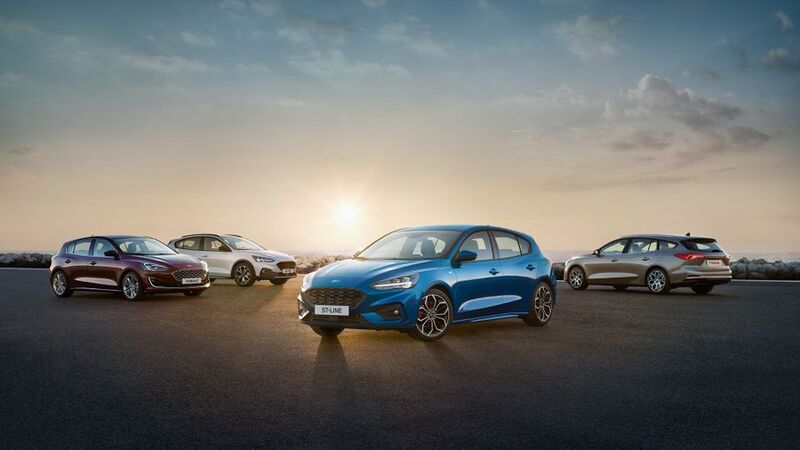 The design brings it in line with the other new models Ford has brought out over the past year or so, including the eighth-generation Fiesta. That means there’s a bigger grille at the front, with horizontal headlights, and a few more curves and angles about the place. The wheelbase - that's the distance between front and rear axles - has also been increased, and there’s a shorter overhang at the rear, along with a lower overall profile. The name badge sits between the tail-lights. There are 13 colours to choose from, including Orange Glow, Desert Island Blue, and Dark Mulberry, which is only available with the Vignale. 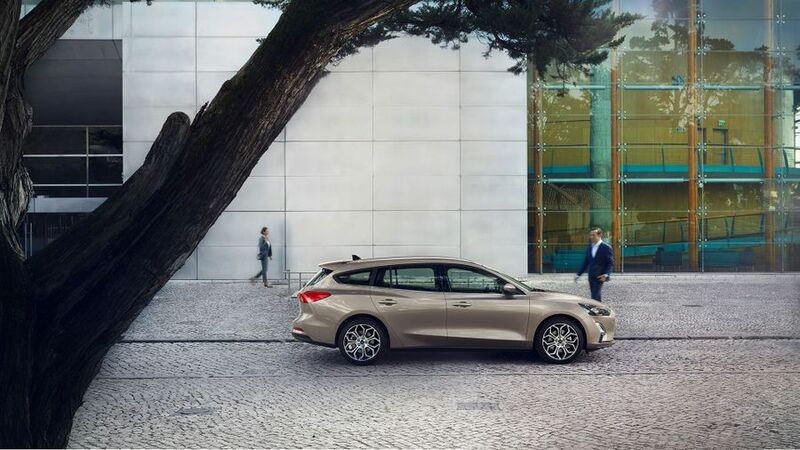 The new Focus will be available as a hatchback or estate. 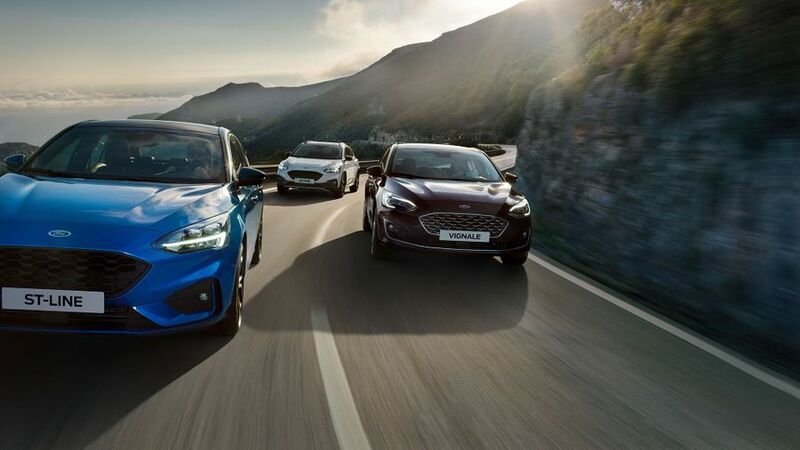 Trim wise, the range starts with the Style and builds through Zetec, Titanium, sporty ST-Line, top-of-the-range luxury Vignale, and the small-SUV-style Active, which has higher suspension and more rugged styling. Most of these have design bits inside and out that distinguish them from the rest of the range. Inside, it’s a bit less cluttered than the previous generation, with more soft-touch materials around the door and instrument panel. There are also a few fancy bits of polished glass or brushed finishes available too, depending on which version you go for. 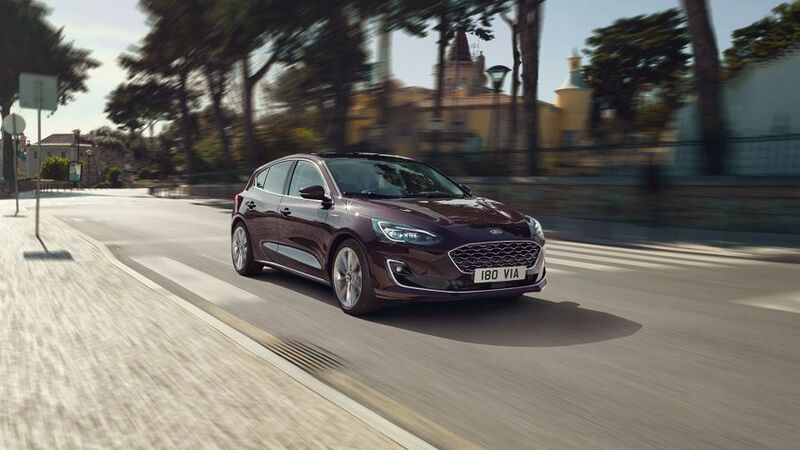 Trim-specific features include fine-grain wood effect and leather if you opt for Vignale, carbon-fibre-effect finishes and red stitching for ST-Line, and rugged, textured bits for the Active. 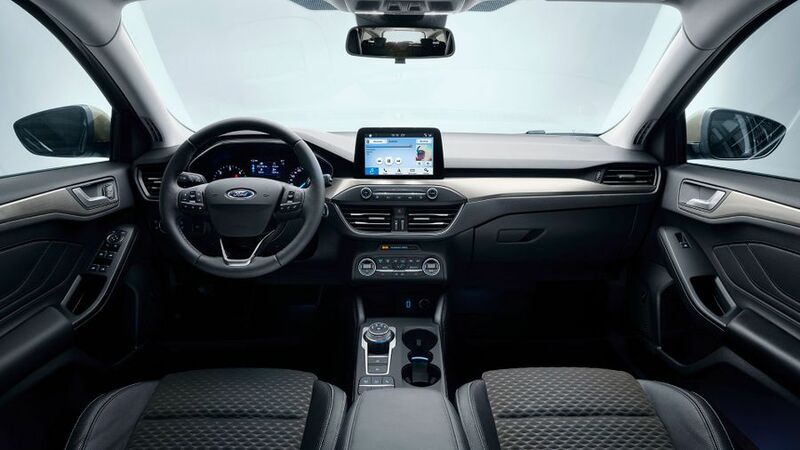 There’s an 8.0-inch touch-screen with Ford’s Sync 3 infotainment system, B&O Play audio and a wireless charging pad. Apple CarPlay and Android Auto are standard, along with DAB and Bluetooth. There’s more space in the cabin too. The instrument panel has been moved to make more room, then there’s an electric parking brake, rotary gear shift dial, and a narrower centre console, which all help with a few extra centimetres. In the back, there’s more space thanks to that longer wheelbase, along with more kneeroom, and shoulder-room. In ‘weird-things-you-might-not-notice-but-Ford-has-thought-about’ news, the rear-view mirror has been specially shaped to mitigate that horrible buffeting throb effect you get when you open one window at speed. The estate boot space has been designed to comfortable fit a dog crate, so Fido should be happy about the new Focus. 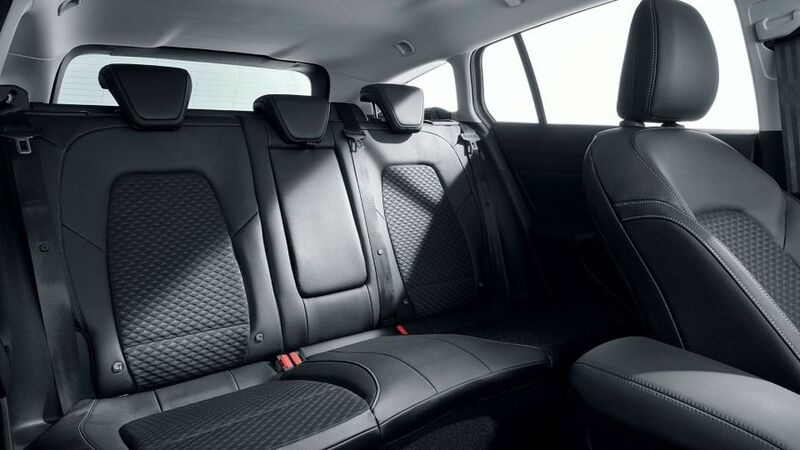 With the rear seats down, the boot space in the estate is now 1,650-litres. If you have your hands full of Fido, the hands-free tailgate will help out too. Just kick your foot under the bumper and the boot will pop open. In theory. 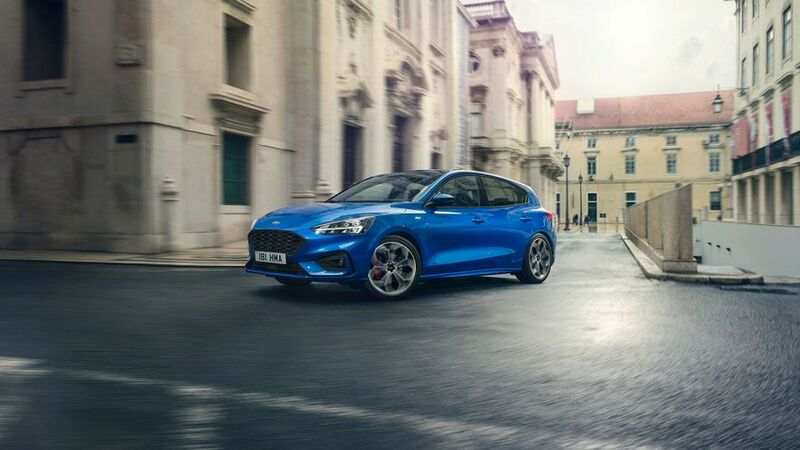 Under the bonnet, buyers will be able to choose from a range of petrol and diesel engines, including Ford’s 1.0-litre turbo petrol engine (with 80, 100, or 125 horsepower), a new 1.5-litre turbo petrol engine (with 150 or 182 horsepower), and new 1.5 (with 95 or 120 horsepower) and 2.0-litre (with 150 horsepower) diesel engines. These can be paired with Ford’s new eight-speed automatic gearbox, or a six-speed manual. Ford says thanks to a new chassis, and suspension, the ride comfort in the new Focus has been improved, along with noise, vibration and harshness. We’ll let you know if that’s the case when we get to drive it in a few months. And for the first time in a Focus, drivers can pick between Normal, Sport and Eco driving modes. There’s plenty of new technology on offer. Ford has introduced the first head-up display for one of its models in Europe, which can show drivers traffic sign recognition info, cruise control, navigation, entertainment info, and emergency notifications, alongside speed. And there’s a new version of its park assist function, which controls gear changes, steering, and speed. New safety technology includes an adaptive cruise control system, which works with speed sign recognition, a lane-centring system, and a new stop-start system. Evasive steering assist helps drivers steer around stopped or slower vehicles to avoid a crash, and there’s a new lighting system which monitors bends in the road, and road signs, to help improve visibility. Using the forward-facing camera, the lights will be angled into corners, and the glare-free high beam stops you accidentally dazzling other drivers. The new Ford Focus will go on sale in the UK later in 2018. The starting prices are considerably lower than the outgoing model, with the range beginning at £17,930 for the Style model. The Zetec starts at £19,300, the ST-Line at £21,570 and the ST-Line X costs from £24,050, while the Titanium is £21,550. The top-end models are the Titanium X from £22,820 and the Vignale from £25,450. Interested in buying a Ford ?